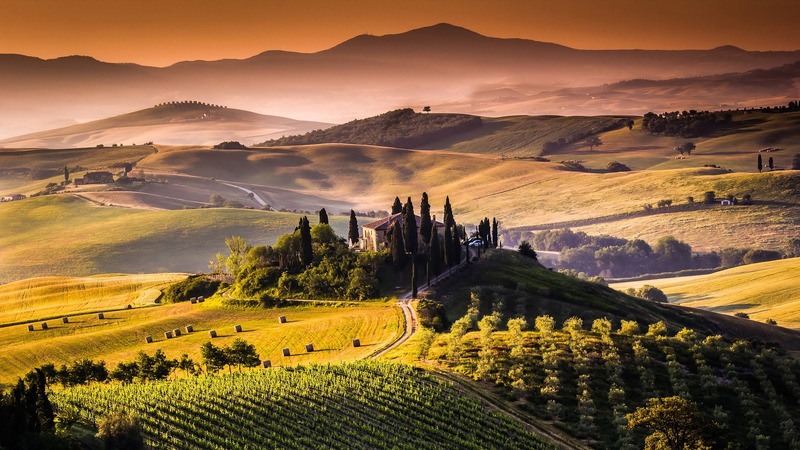 The trip goes on the discovery of the Etruscan and especially the Tuscan Coastal wines for a whole week starting from the South to the North of the beautiful coast, discovering the amazing wines of the Maremma region of Tuscany (the wild west!) and eating amazing local specialities wherever we go. AVAILABLE ONLY FROM APRIL TO SEPTEMBER. stroll around idyllic village before hitting the sacks. We’re up to an early start because today we are heading to the small island of Giglio where wine making is really extreme because so rocky and dry. The grape that we’ll encounter here is mainly Ansonica, but also many other varietals grow. First we’ll enjoy an incredible fish lunch with the Ansonica wine. After lunch we’ll check into our accommodation and if you don’t need to nap you’ll have time for a stroll around the port of this island who’s inhabitants are merely 2000. Then we’ll meet with the Altura winery and visit the estate with the owner followed by dinner bathed in a great deal of fantastic wine. Overnight at the island. Another early start – but you can take it easy on the boat back to the mainland – for we are heading into Maremma to visit super modern winery Rocca di Montemassi, which we visit after another slow lunch. Here we will encounter the first modern take on the Coastal wines influenced by the great wines of Bordeaux. In the evening we will enjoy a cooking class at our B&B and dine on our creations while enjoying the peaceful countryside. Today we head to the island of Elba for the day. Elba is where Napoleon was exiled and was another Etruscan establishment. Here we will encounter the native grape Aleatico which gives origin to a marvellous dessert wine and more. We’ll visit La Piana winery when we arrive for a cellar tour and tasting in front of the seaside. After lunch we head to visit the Aquaviva winery for another tasting before we head for Porto Ferrraio the main village for a quick stroll and dinner in the Fortress. We’ll sleep in a local B&B in Portoferraio. We get back on the main land with the local ferry and visit Populonia which is an Etruscan village and archaeological sight, very impressive and right on the coast. After some time for relax, we’ll grab a “panino” and head up to the region of Suvereto that has recently marked itself as a DOCG region. We’ll visit a notorious winery such as Tua Rita and learn about the region from the best! In the evening we’ll enjoy dinner at Guado al Re – another well regarded winery. In the evening we head for Bolgheri for dinner and for our nex night. Bolgheri is the star of Coastal Tuscany, where some of the most famous wines of Tuscany are made – and we’ll have all day to discover it. We’ll visit 2 wineries – of which one will be either Sassicaia or Ornellaia winery, the other Le Macchiole or Grattamacco. In between we’ll have a fine lunch, but we’ll keep it light because in the evening we’ll head for Michelin star restaurant La Pineta for our farewell dinner on the beach! Copyright © 2015 Tuscany in Tour - Your partner for private transfers and tours in Tuscany - Tours in Italy. All Rights Reserved.